It is sad to hear about Suzanne Pleshette. I've heard from my dad that she was an incredible talent. I should check out the DVD's of "The Bob Newhart Show". By the way, I love your caricatures. They have a lot of life and personality in them. I say put those in a cartoon of your own. Well said. She will be missed. The older I get, the more people die. She was very talented and truly beautiful. 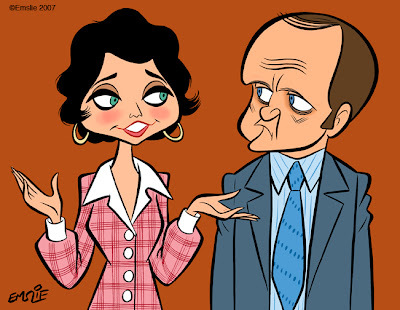 Your drawing of Bob Newhart is hilarious - it's absolutely spot-on! Oh, my gosh ! I hadn't heard until I read your blog entry. Susanne was so lovely, such a beautiful woman , but also a wonderful comedian . I just watched her last night in an episode of Columbo on DVD. She was wonderful as the Witch and her twin sister in Miyazaki's "Spirited Away" (the English language version) . gezzzz...this world is so TINY! how did u know i invaded Animation Nation??? its sooo freaky how you know it so fast!!! there r sooo many good artists there, I am like a little tiny tin at the bottom of the mountain and admiring all the good sights up there! yes, im working on some of my own animation projects, and it will make my portfolio looks much stronger, I will let you know when I put them online! and, THANK YOU TONS for your encouragement!! u made me wanna cry! PETE I LOVE YOU FOREVER!!! Don't worry about it. Fact is, two of the last three topics have been memorial pieces, so there hasn't been much opportunity to cut loose on here. I got a chuckle out of seeing you turn up on Animation Nation, so I left the comment on your site. I hope you are able to get some leads on AN - it never hurts to network. 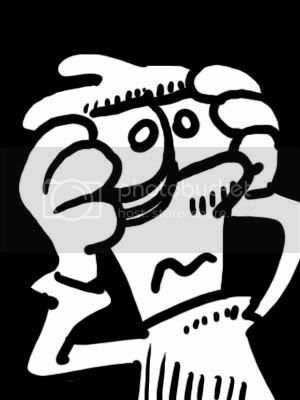 im trying...trying......................HOW DID U DO IT???!!! Great Pleshette cartoon, but you forgot to mention her role in Hitchcock's "The Birds". Stunning!!! Not to mention "Support Your Local Gunfighter". What a beauty, indeed. And talented. Quite the contrast to the likes of Britney Spears and Paris Hilton. Again, great post. Good job!